Bernice A. “Bee” Krause Dawes Glismann, age 93, passed away peacefully on April 13, 2019. Bee was born on July 25, 1925 to Walter and Clara Krause, in Kalispell, Montana. She was raised and educated in Kalispell until the family moved to the farm in Bigfork. Her siblings are Robert (Lois) Krause, Bigfork, MT; Margaret Byfield, Mt. Vernon, WA; Walter Krause, Jr. (deceased). Bee met her husband Bill Dawes in Great Falls. They were married in 1943. Bee and Bill lived in many states and Okinawa after he joined the Air Force. When he retired they made their home in Ogden. They celebrated 53 years of marriage. Many happy memories were made. Bill passed away in 1996. Bee married John Glismann in 1998. He passed away in 2001. They liked traveling in John’s motorhome. She enjoyed cooking dinners for her family and friends. She also liked going to Wendover and watching her favorite football team. Bee was a member of the Elim Lutheran Church and loved singing in the choir. She also served on the Alter Guild. Bee is survived by her son, Bill (Joan) Dawes, Ogden; and daughter, Judy Roberts (Bill) Joseph, OR; stepsons, David (Gloria) Glismann and Rick (Sandy) Glismann; granddaughters, Wendy (Darin) Fredrickson and Pamela (Dee) Overy; several great-grandchildren and two great-great-grandchildren; sister, Margaret Byfield; and brother, Robert Krause. She was preceded in death by both husbands, parents, and brother, Walter Jr.
Funeral services will be held on Friday, April 19, 2019 at 11 a.m. at Elim Lutheran Church, 575 23rd Street, Ogden. Friends may visit with family on Friday from 9:30 to 10:30 a.m. at the church. Interment, Lindquist’s Washington Heights Memorial Park, 4500 Washington Blvd. Services entrusted to Lindquist’s Ogden Mortuary. In lieu of flowers donations may be made to the Elim Church. The family wishes to thank the nurses and aides at Mt. Ogden Care Center for the care of Bernice. 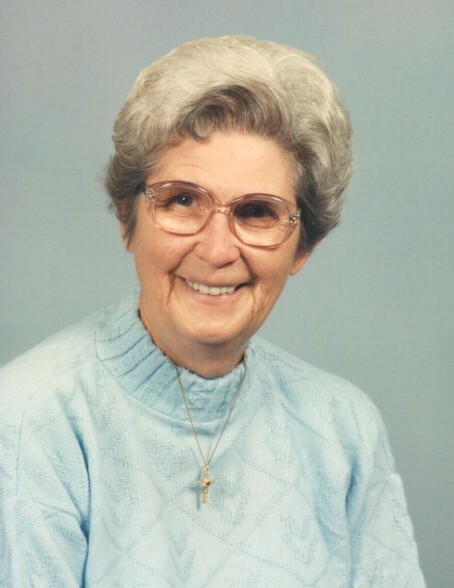 There's still time to send flowers to the Visitation at the Elim Lutheran Church from 9:30 AM to 10:30 AM on April 19, 2019.